Sweating gets a bad rap. It's often associated with dirt and smell, but it doesn't have to be that way. Sweat is also an indicator of success. That cool, wet feeling you get after a hard morning jog in the crisp fall air. Sweat drips down your muscles during intense workouts as you get one step closer to your goal body. The sweat and tears you poured into securing your next client or landed that next big gig. 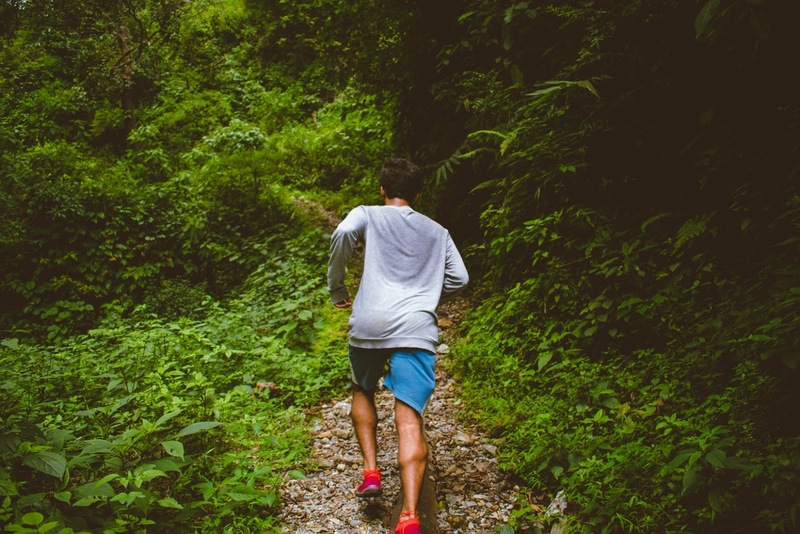 Let's make it clear: sweat isn't the bad guy—smell is. Just because you work hard doesn't mean you have to smell like you did. Instead of preventing that glorious perspiration that marks your success, stop smell in its tracks with natural deodorant. Antiperspirants and classic deodorants use chemicals that irritate skin and prevent you from sweating. Switching to a natural deodorant keeps you smelling fresh without harmful side effects. Here, we'll show you everything there is to know about natural deodorant for men. When it comes to sweat and stink, your expectations need to be reigned in. Many people think that deodorant and antiperspirants are essentially the same thing—they're not. This results in common frustrations when it comes to how these products are expected to perform. Deodorants and antiperspirants are not the same thing. They are designed effectively to complete one of two tasks. Deodorants are specifically formulated to keep you from stinking. Antiperspirants are designed to prevent sweat from occurring in the first place. Antiperspirants work to prevent sweating by blocking pores. Today, you're unlikely to find any antiperspirants that are natural. That's because the most effective way to prevent sweating is to use chemicals such as propylene glycol or metals like aluminum zirconium. These chemicals are approved for use in deodorant by the FDA, but have shown some health concerns in medical studies. Both ingredients have been linked to certain types of cancer and Alzheimer disease in some small studies. Aside from that, these chemicals can also cause skin irritation, clogged pores, and some antiperspirants may even increase smell. That's because they can actually trap bacteria in blocked pores. Natural deodorants on the other hand don't prevent you from sweating. However, they do eliminate bacteria and minimize pore size with naturally astringent ingredients This ensures you smell fresh and clean all day long, without the harmful side effects of chemicals and additives. Today, many grooming products on the market are intended to prevent natural body functions from occurring. That's where antiperspirants came in. They were specifically designed to stop sweating because sweating was associated with being unclean or smelly. However, sweating itself doesn't cause offensive odors. The bad odor associated with sweat comes from bacteria in sweat glands that feast on the salty content of sweat. Sweating is a natural function that helps the body regulate temperature and eliminate harmful bacteria. When you use an antiperspirant, you trap bacteria in your pores and prevent your body from cooling itself down. Natural brands like Sam's natural deodorant, make the case that sweating is necessary and shouldn't be prevented. Instead, natural deodorant brands focus on preventing the stink associated with sweating. Read on to find out some of the ingredients these brands use to prevent smell while letting your body do what it was designed to do. What's in Natural Deodorants for Men? All natural deodorants typically use a few staple natural ingredients to prevent body odor. These deodorants don't contain any parabens or artificial fragrances that can irritate sensitive skin in your armpits. There are unscented natural deodorants as well as ones with naturally-derived fragrance. Natural deodorants are also available in roll-on varieties, creams, and deodorant sticks. Artificial fragrances are comprised of harsh chemicals that can cause skin irritation and redness. Natural deodorants substitute artificial fragrances with natural ingredients that add subtle, fresh scent. Essential oils boast antibacterial and antiseptic qualities that help eliminate bacteria as well. Popular essential oils in men's deodorants include tea tree, cedar, and sandalwood oils. Tea tree oil offers a fresh feel thanks to its tingling nature while cedar and sandalwood add a woodsy note that's perfect for men's deodorant. Many natural deodorants also contain carrier oil such as coconut oil or olive oil to prevent skin irritation. These oils help to soothe and nourish skin to prevent dryness. These oils also form the base of solid stick deodorant. Baking soda is a miracle odor-fighter. It's commonly used in refrigerators to prevent smelly foods from taking over and is often used in cat litter as well. In natural deodorants, baking soda is used to absorb excess moisture to keep your armpits feeling dry. The chemical composition of baking soda also ensures that odor is eliminated at the source. Another popular starch used to improve dryness and prevent odor is arrowroot powder. Activated charcoal is often substituted for baking soda as it is a known detoxifier, absorbs moisture, and prevents bacteria growth. Regular deodorants often contain alcohols to restrict the size of pores. These alcohols can irritate skin by drying it out. Natural deodorants substitute witch hazel for alcohols. Witch hazel is derived from the bark and leaves of small shrub trees and is renowned for its calming properties. Witch hazel helps soothe irritated skin and boasts astringent qualities that help to minimize pore size. This ingredient also helps sweat evaporate more quickly. Many organic deodorants add naturally-sourced waxes to improve the texture of deodorant. This ingredient is used specifically to mimic the look and feel of other deodorants. 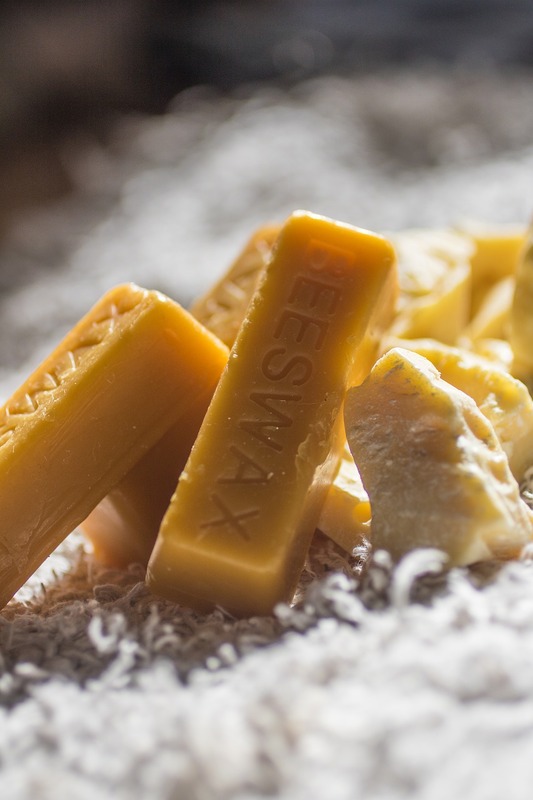 The most common waxes in natural deodorants are beeswax and candelilla wax. Kaolin clay is a mild clay that is silky white in color. This clay contains a high amount of silica, minerals, and phytonutrients. The silica helps to gently exfoliate skin, which helps shed bacteria. The phytonutrients eliminate toxins and bacteria that cause underarm smell without removing natural oils on your skin. That's right. Your favorite beer-making ingredient is also a staple in many men's natural deodorants, particularly those from Tom's of Maine. Natural, aluminum-free deodorants use hops thanks to its antibacterial properties. Hops prevent the growth of bacteria in the beer brewing process and has the same effect when it comes to preventing smell in your underarms. These two ingredients are emollients, meaning that they soothe or soften skin. They are gentle enough to be used on sensitive skin and are even in many dermatology line skin care products. Cocoa and shea butter also contain polyphenols—antioxidants that prevent skin aging and fight bacteria. They are commonly used in deodorants to soothe and moisturize skin. Sometimes these butters are substituted with aloe vera for a moisturizer that also adds a cooling effect. Natural deodorant uses vitamin E because of its antioxidant capacity. Many brands use tocopherol, a vitamin E derived from vegetable oils. 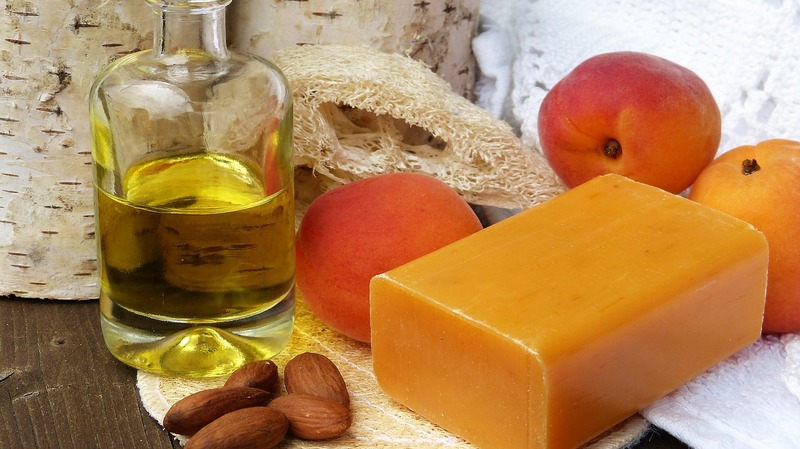 Vitamin E helps prevent skin damage caused by UV rays, moisturizes, and eliminates bacteria. Vitamin E is a natural preservative, making it a popular ingredient in deodorant. The best natural deodorants for men use a combination of these ingredients to stop smell in its tracks while moisturizing underarm skin. You can make natural deodorants at home or opt for brands that have established a great reputation. Some of our favorites include Herban Cowboy, Every Man Jack, Tom's of Maine, Primal Pit Paste, Green Tidings, and Schmidt's natural deodorants. Finding a natural deodorant that actually works doesn't have to be complicated. Look for some of these staple ingredients when choosing a natural deodorant. They are non-GMO, vegan, and all natural so you don't have to worry about side effects from nasty chemicals. You'll tackle the day knowing that you'll smell great no matter how hard you work.